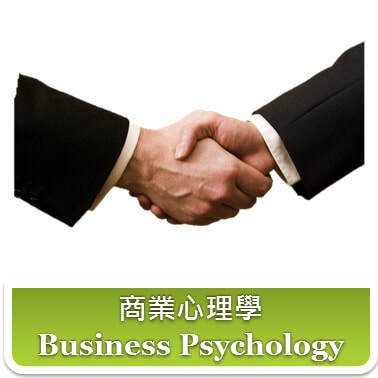 Business Psychology studies the pattern and human behavior in business activities, including the behavior of organizations, operators and consumers. We provide professional tailor-made training in human behavior for commercials, involving Management Psychology, Experiential Marketing, Psychology in sales, Psychology of Public Relations, Corporate Culture & Team Building Training. *Other topics or contents of training could be tailor-made upon request. For further details and enquiries, please contact our colleague Mirin Mok at 2114-0303.